I write this piece from my recent experiences with young and early career researchers at my University of Makerere in Kampala. It is a graduate conference organized by the College of Agricultural and Environmental Sciences and among students are those from the School of Forestry, Environmental and Geographical Sciences, with over 20 graduate student’s presentations. I interact with a couple of students following up on questions asked during the morning session. One of the students I interacted with is working on biodiversity conservation and livelihoods in a distant rural place in western Uganda, a place I had visited earlier at the end of October during the school retreat on curriculum. With all the discussions on curriculum fresh, our discussion with the student lead me to ask whether she thought of, or knew about biodiversity existing in cities like Kampala. The answer was surprising but also revealing. An emphatic no about the existence of biodiversity and that ‘we’ cannot think of talking about biodiversity in cities nor even conduct research simply because, according to the student, there is no biodiversity in cities. This was quite revealing in respect to how either the paucity of knowledge about biological resources or pedagogical approach may be flawed. It also points to how the material and knowledge about biodiversity is under-utilized or lacking the urban dimension. My interpretation is that this reinforces a flip of the ‘urban bias’ a term that is conceptualized by Lipton as the systemic bias against agriculture and the rural economy in governments’ policies and allocation of developmental resources. The flip in context here is a bias towards urban development seen largely as built-up form and thus resources allocated to such areas and less if not nothing for natural resources within urban systems. 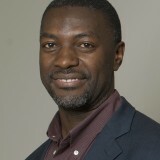 However, the inadequacy of curricula in addressing urban natural resources is largely due to the dominance of terrestrial and aquatic ecological studies at university that recognize ecological landscapes mostly as rural phenomena—urban and built-up forms of ecological landscapes are often ignored or masked out in the analysis. In this essay, I raise a couple of points to illustrate the educational challenge around what knowledge is used and how pedagogical approaches have negated urban biodiversity but also how this can be integrated into the curriculum. The urban bias against biodiversity in cities has been perpetuated by the longstanding conceptualization of urban land uses as non-primary, largely separated spatial units that relate to each other in a complementary manner. Even when such is the transformation of natural landscapes and an imposition of artificial landscapes, little regard is generally given to biodiversity in terms of flora and fauna that comprise vegetation, small to medium sized animals as well as underground biodiversity that remains on the usually conserved or landscape designed surfaces. But this also relates to the public awareness about biodiversity in cities. In countries that are rapidly urbanizing, opportunities for economic growth increase the land value leading to a very conspicuous pattern of transformation of natural landscapes replaced by high rising buildings, commercial entities, road infrastructure and industry. The pattern and nature of this transformation often disregards nature and again, other than the designed landscapes for aesthetics (which is in itself a good thing), ecological elements that would enhance or maintain biodiversity are not provided for in the planning standards. Thus there is little incentive for the public to recognize and value biodiversity in cities such as Kampala. 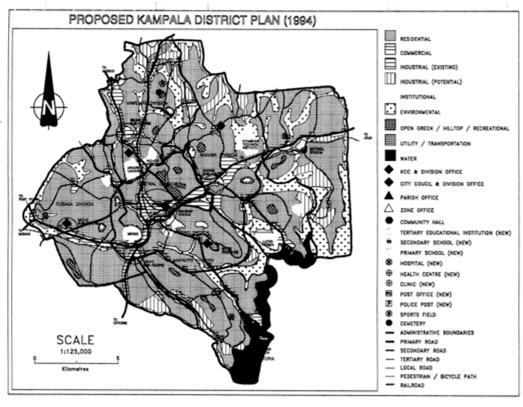 This is true also to the municipal authorities, which despite having recognized environmental land use in the 1994 Structure Plan of Kampala (shown above), the Valued Environmental Components (VECs) were limited to wetlands and lakeshore. Little has been done to conserve the wetlands, tree cover on hilltops while small to medium sized animals such as monkeys, rodents and reptiles are either eliminated or transferred to the Uganda Wildlife Authority. 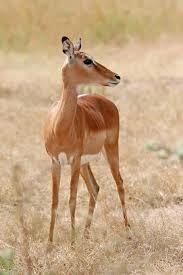 For example, in Kampala’s over 100 years of existence as a city, the Impala, an animal that grazed the hills and after which the name of the city derives, has disappeared completely. Though there has been an effort to conserve the species in established conservancies, these medium sized animals are not found in cities as part of the landscape. 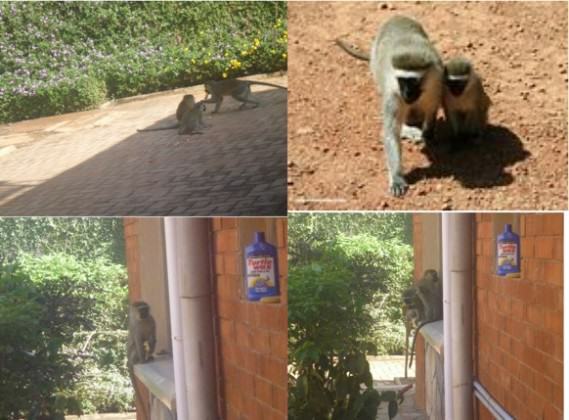 Some of these animals, like monkeys, have adapted to the urban ‘jungle’ and found a way of living with humans—though with challenges as shown in the images below. Thus the disappearance of medium-sized animals in the city and within its immediate hinterland is not a coincidence but a systematic erosion of biodiversity due to habitat loss and change—but also due to deliberate clearance and hunting. The question which can be posed here is this. If animals and vegetation are hunted or cleared in cities like Kampala, then how can biodiversity resources be truly valued? Formal education largely relies on documented knowledge and less on experiential knowledge, the later built around continuous use of natural resources in locales. This is a big challenge for education to rely on Ex-situ conservation in education that has influenced the appreciation and valuation of biodiversity. In other words: experiential learning by locals, in which biodiversity is not valued, contradicts and supercedes the ‘book-learning’ lessons of conservation. Given the scenarios of the student’s knowledge about biological resources in cities, the lack of public awareness and lack of biodiversity valuation by institutions, it is important to reflect on what implications these scenarios have on the value of biological resources and urban future from the education perspective. One the implications is the gap in education that is created by non-appreciation of local natural resources in urban systems. Experiential learning about own environment in locales is not an approach that is vigorously pursued in university education. This gap needs to be filled in curricula. There are plenty of natural resources, both flora and fauna, in urban areas like Kampala—from terrestrial, aquatic and underground that baseline research deems valuable in generating the knowledge required for the awareness-raising across the population. Research is required at various urban scales to establish knowledge of biodiversity resources, documenting resources for management and education purposes. 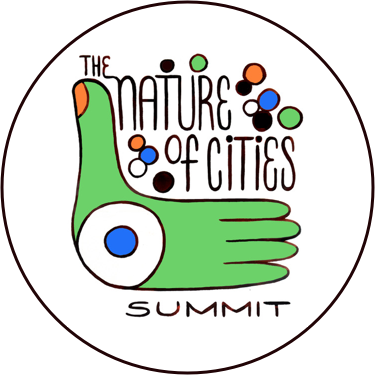 If nature will be unimportant part of the future urban landscapes, the involvement of students in this process is key, undoubtedly just like the utility of knowledge to fill the gaps reflected by the scenarios above, This would enable rethinking animals, including rodents and monkeys, which are currently seen as vermin, mere vegetation cover, or as a security threat in cities. Despite the dangers they may pose, experiences show that in a controlled manner, animals in cities can live with humans and we can begin to value biodiversity in intrinsic terms, for its own sake. Valuation of natural resources is a term associated with estimating the intrinsic monetary value of biological resources, although such monetary valuation is only an under estimate of true value. There is no known economic tool or framework that can accurately value natural resources that incorporates their temporal and spatial importance. This implies intrinsic value of biological resources transcends the current and anticipated future economic estimates. 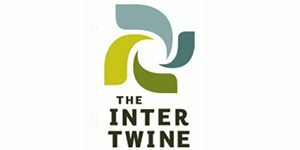 On this premise, it seems appropriate that a cultural valuation of biological resources in cities, one that recognizes the connectedness of people and nature, offers a more holistic approach to comprehensive appreciation of biological resources and a foundation on which such resources can be integrated in cities. In tertiary education, biological resources on a spatial scale are thought of as landscape ecology, but studies are limited to terrestrial natural systems and less consideration is given to the landscapes that include urban units. It is the natural flora and the extensive forests around the present day city of Kampala that have been degraded. The process is ongoing with new developments continuously encroaching on the remaining forests, including “gazetted” and supposedly protected forests and wetlands. This degrades biodiversity and erodes the genetic resources in areas where cities are built, such as Kampala. 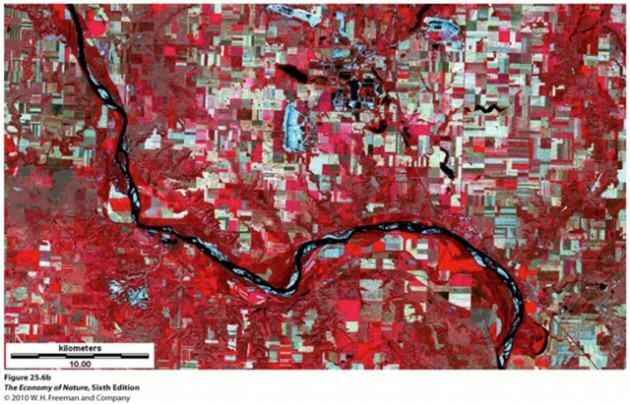 The concept of landscape ecology, in contemporary use, is an area containing a mosaic of land-cover “patches” that are distinct and can be spatially defined or mapped. Landscapes include traits, patterns, and structure of biotic and abiotic resources specific to a geographic area with the associated anthropogenic or social patterns (Lopez R.D et al 2002, EPA). When studying landscape ecology the foci generally are distribution patterns of communities and ecosystems, the ecological processes that affect the patterns, and changes in pattern, and process over time and space. In this comprehensive consideration of landscapes, anthropogenic patterns include built-up form. Thus landscapes manifest in various forms of different mosaics of habitat types both terrestrial and aquatic as shown below. These are usually of varying shapes and sizes that reflect both natural and human influences. As illustrated in the picture below, spatially distinctive units of landscapes range from forest, grass, agricultural fields, water bodies to built-up form. Within these units are ecological processes that include the movement and flow of animals that have adapted to urban habitats, as exemplified in many cities like Kampala. The interest in knowledge around ecological landscapes is growing, but much of it still at the level of sustainable development discourse framed as payment for ecosystem services, ecosystems-based adaptation, green infrastructure and urban greening. This knowledge needs to be amplified and transferred through curricula designed to deliver education for valuation of biodiversity in cities as part of the continuum of ecological landscapes. The future generation of urban managers and the young generation is perhaps the best group to influence in transition to sustainable consumption and utilization of biological resources. Satellite image showing distinctive patches of landscapes. The level of awareness and knowledge about urban biodiversity across categories of society varies and perhaps does not measure up to appreciation of the value of urban biodiversity. It is also evident that the built-up areas are rarely considered as part of the landscape ecological system. With the current discourses of sustainable development, green infrastructure and greening urban systems, terrestrial ecosystems in urban areas must be explicitly included and valued in education and research in order to educate the stewards of the urban future. Documenting biodiversity can support an education program built on experiential learning by taking advantage of the local urban environments in cities like Kampala. This is an educational challenge that universities and institutions of learning need to address, to transcend the traditional classroom teaching and build research and experimental labs within the urban ecosystems. Lopez, Ricardo D., Craig B. Davis, and M. Siobhan Fennessy. “Ecological relationships between landscape change and plant guilds in depressional wetlands.” Landscape Ecology 17.1 (2002): 43-56. This article is grounded in the interplay between the possession of environmental knowledge, environmental awareness and pro-environmental behavior. The writer makes good use of these three capabilities by mobilizing ideas from what he has observed in the social to attach meanings to what he researches and communicates to the scholarly world. Therefore if we are to broaden the discussion about urban biodiversity as an educational and public awareness challenge, we need to ask whether the acquisition of environmental knowledge translates into environmental awareness and behavior. This is because many organizations and even universities base their education and communication campaigns around the linear assumption that transfer of knowledge will create pro-activeness in attitude and change in behavior. Its said that if you want to hide gold from an African put it a piece of writing,because we don’t want to read yet several or much of the world’s changing tips are hidden in a few write-ups published and a lot is not published which would as well save the biodiversity. Here i mean many of the “so” called technical persons don’t read to get knowledge on the benefits of preserving the biodiversity because many if not all city plans are approved without respect given to this guy GREEN or open space were almost 90% of the planned area is built up, so you wounder were the formally Kampala’s treasures like Impala and monkeys and other ecosystems will live. When systems treasure such pieces of write ups, we are bound to re-see the biodiversity rejuvenating but if not we are doomed. Thanks Dr Lwasa.